As Director Jocelyn Tipple gracefully cuts the air with her arms, hands, and fingers, she controls the tempo from students who are joined together to decipher the same sheets of music. 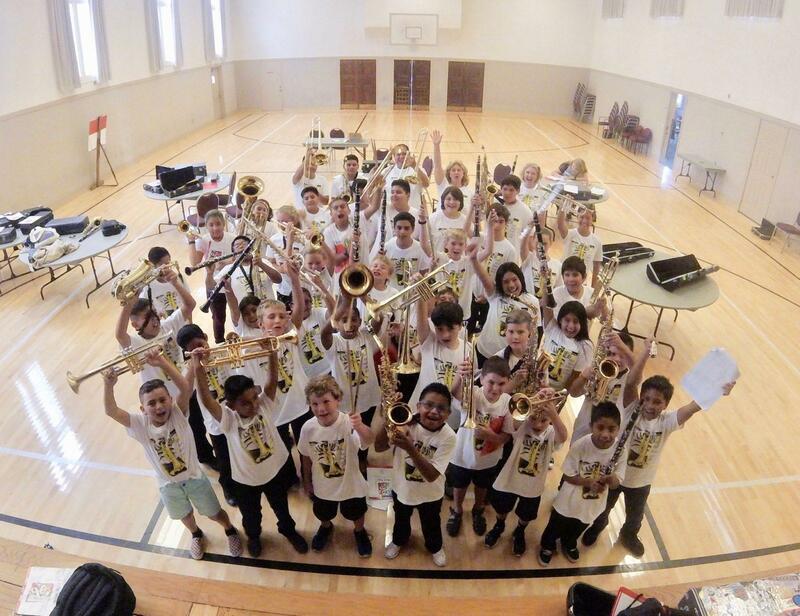 Over the years approximately 2,000 students have attended Santa Barbara Education Foundation’s Nick Rail Summer Band Camp to take their first steps in becoming a musician or polish their skills. This June, the Nick Rail Summer Band Camp celebrates its 30th Anniversary and will gather the community’s youth together once again for a musical learning experience. When Mr. Nick Rail from Nick Rail Music started the camp in the summer of 1989 he wanted to give students a space to study music over the summer and ensure that space would be equally accessible to all students. In 2016, Nick trusted the Santa Barbara Education Foundation to take over the camp and uphold the values he had set in place. For 30 years the goal has been to keep the cost of camp at an affordable price to provide all students with a chance to strengthen their passion for the musical arts, not just the privileged. Through the Santa Barbara Education Foundation, students are able to apply for a scholarship to cover the cost of registration and further their music education. “The value of what you get out of this camp has nothing to do with the price, in this camp you get seven or eight times more than what you pay for,” said Haydee Perez, parent of campers. Haydee has had both of her sons, Andrew and RJ, in the camp for the past three years. Her eldest son RJ has enjoyed the camp so much that he wants to become a volunteer in the program this summer to practice and share what he loves with students who are just starting their musical journey. As for Andrew Perez, he had nothing but positive things to say about Ms. Tipple and her ability to make camp enjoyable. “That’s the place I learned how to make something come out of my instrument,” said 13-year-old Perez, who will return to camp for his fourth year this summer. The camp is open to children ages 9-13 and welcomes participants of all levels. This year camp will be held from June 17-July 11, on Monday, Tuesday and Thursday mornings at the First United Methodist Church. On the final day of the camp, students will show off their skills, developed by professional musicians, in a performance for family and friends. 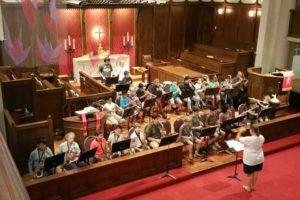 “I truly hope Nick Rail Band Camp will be around for future generations of “band geeks!” It’s an institution worth fighting for,” said Tipple. For more information about the camp and how to register please visit https://sbefoundation.org/community-programs/the-nick-rail-summer-band-camp/.